Short, brightly dressed and rather rotund, the hobbit is unmistakeable, yet few people have ever set eyes on one. Their shy nature and almost magical ability to hide means that many a backpacker walks within but a few metres of a hobbit without ever knowing it. In fact, they are so rarely spotted these days that some have claimed that there are no more hobbits left in the wild. Luckily, the elusive creatures can still be found; if you know where to look. Hobbits are famously fond of a quiet, comfortable existence filled with the finer things in life, and they tend to live almost exclusively within the confines of their isolated communities. Some choose to leave their traditional homes in search of work, often as actors, while a love of food means that some of the more adventurous can, from time to time, turn up unannounced at pubs and bars – particularly those with a reputation for good food, or a large selection of real ales (New Zealand’s hobbits, of course, are the descendants of those first English hobbits to land on the island and still possess an innate love of traditional English ales). 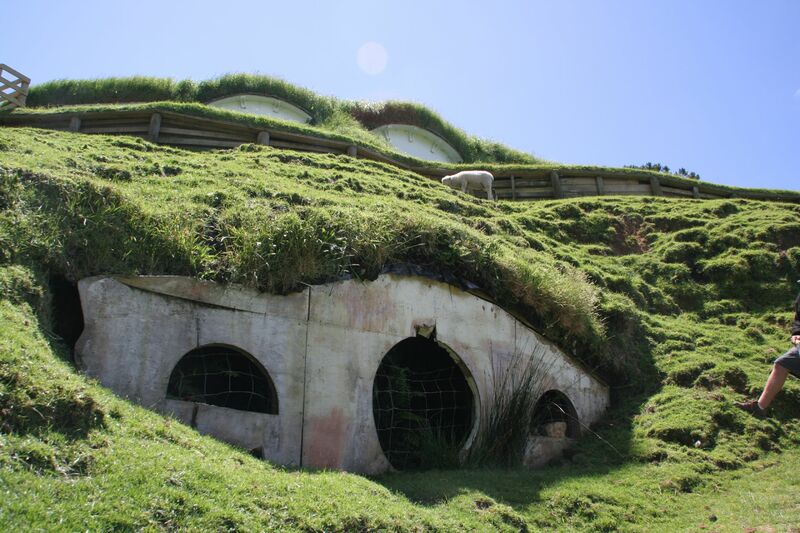 For the most part however, hobbits are content to live their entire lives in their idyllic rural dwellings – known as hobbit holes – where they can easily avoid the prying eyes of the big folk. By far the most famous of these is Hobbiton, a formed hobbit village which has been transformed into an outdoor museum to preserve their unique way of life. Located on New Zealand’s North Island just a short distance from the town of Cambridge, this traditional settlement was the home of Bilbo and Frodo Baggins, and you can still enjoy a pint in the Green Dragon Inn. It is the less built up South Island however where travellers are more likely to find hobbits themselves. Located on the Mavora Walkway – one section of Te Araroa, New Zealand’s national walkway – the Passburn Track is easily recognised as the route that approaches the Misty Mountains. Surrounded by the dramatic mountains fringed by lush green forest, the public can retrace the Anduin Valley route taken by The Hobbit. Middle Earth never looked so good! These remarkable mountains tower over Queenstown, dwarfing (pun fully intended) New Zealand’s adventure capita. The range was also used to film parts of the Misty mountains and was a location in both The Lord of the Rings and The Hobbit. As the barrels used by the dwarves are not large enough for Men to travel in, guided tours of Pelorus River can be taken on foot or by Kayak. The contrast of the bright, white rocks against the elf-green waters of the river make it an idyllic setting and a perfect spot (for men and hobbits alike) to stop off for a swim. After leaving Rivendell the hobbit’s quest took Bilbo and Company from Glenorchy, through the mountains to the head of the glacier that is Earnslaw Burn. The glaciers cascading waterfalls probably wet Bilbo’s toe hair; the four hour trek would almost certainly have worked him up an appetite but all would be worth it for the views of the glacier and beyond.